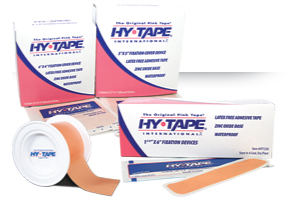 Latex free surgical tape, adhesive patches, single use rolls, & pre-cut strips from the industry leader Hy-Tape International. Producing the highest quality rolls of tape since 1946. Meant to expedite any taping application. Our adhesive patches have all the same great qualities as our traditional rolls, but are designed to cover a large area. 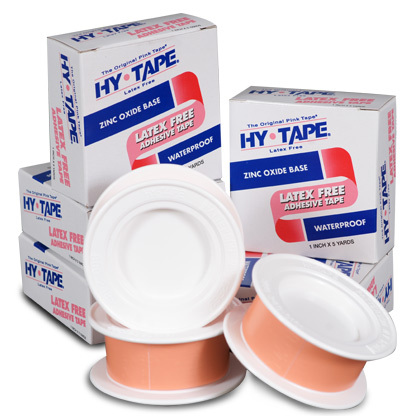 In times when bacterial transmission and contamination is a risk, medical professionals can rely on Hy-Tape Single Use Rolls. For those who would like to purchase smaller quantities of our best selling tape, we offer it in five different widths starting at $13.5o which includes shipping and handling.